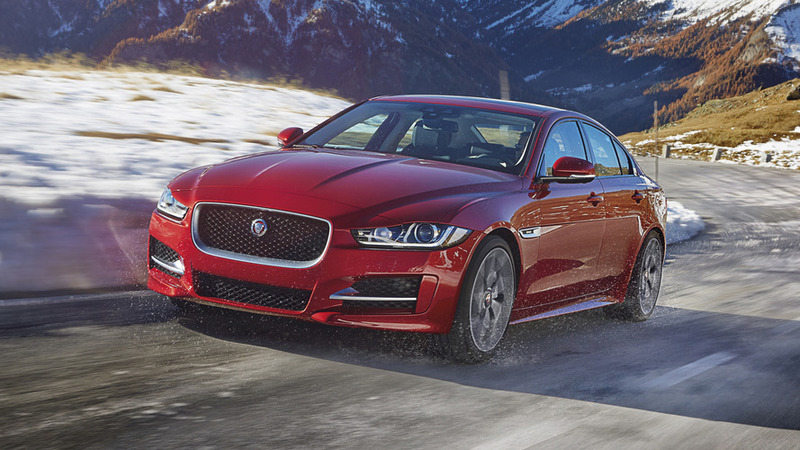 For more than three years now Jaguar has been producing its entry-level sedan, the XE. The car that replaced the not-so-fondly remembered, Ford Mondeo-based X-Type even got a hard-hitting big brother this year in the form of the XE SV Project 8, which is the closest thing to an automotive wolf in sheep's clothing you'll find (with added wings, of course). 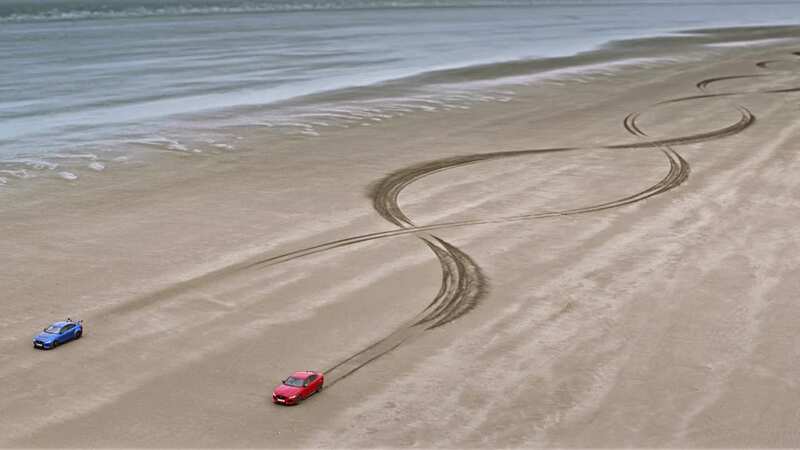 To celebrate the XE's, shall we say varied family tree, Jaguar took an XE 300 Sport and a Project 8 down to Pendine Sands in Wales and created a unique piece of artwork with the pair of sports sedans. 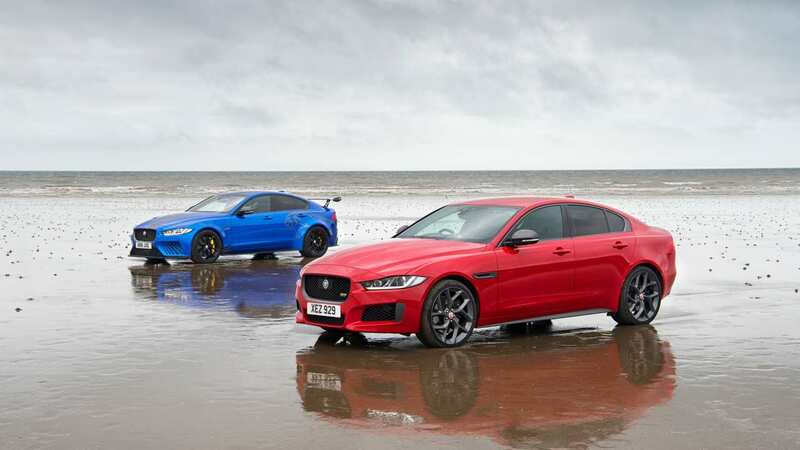 "The aluminium-intensive body construction of the XE enabled Jaguar to create a car as special as Project 8," said Mike Cross, Chief Engineer, Vehicle Integrity, Jaguar Land Rover. "These two sedans share the same DNA, delivering excellent handling, peerless performance, and unrivaled dynamics." The XE 300 Sport, used for both the DNA beach run and the lap of Circuit de Charade earlier this year, is powered by a 296-hp, 2.0-liter engine that propels the car from 0-60 mph (0-96 kph) in 5.4 seconds. It has unique Dark Satin Grey details including the door mirror caps, rear spoiler and grille surround, along with 300 SPORT badging on the front grille and boot lid, as well as instinctive 19-inch or 20-inch Satin Technical Grey finish wheels are exclusive to the special edition along with 300 SPORT-branded brake callipers. Four exterior colors are available: Yulong White, Indus Silver, Santorini Black and Caldera Red.